In her own words, Susan had a resume that was “clunky and cumbersome.” Her skills were buried and it wasn’t clear who she was or where she wanted to go. 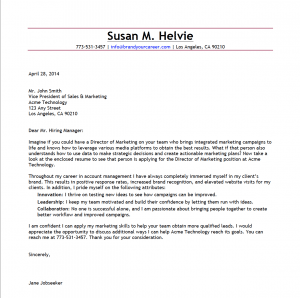 After learning Susan wanted to move away from an agency atmosphere and move into a corporate marketing role, I reframed her experience to highlight transferrable skills and de-emphasize that all her experience had been with an agency. 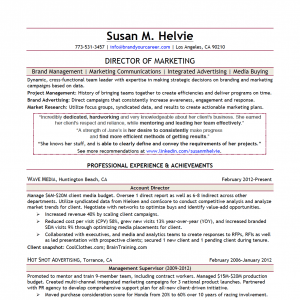 Susan saw immediate results with her new resume, getting responses from postings on LinkedIn where she had not gotten any before. Then within just 6 months of starting her search she landed her “dream job” at a corporation with a vision of creating a sustainable future.